I’m pleased to share some exciting news with you. After eleven years with the outstanding, boutique firm - Aspen Real Estate Company- I have decided to make a change. 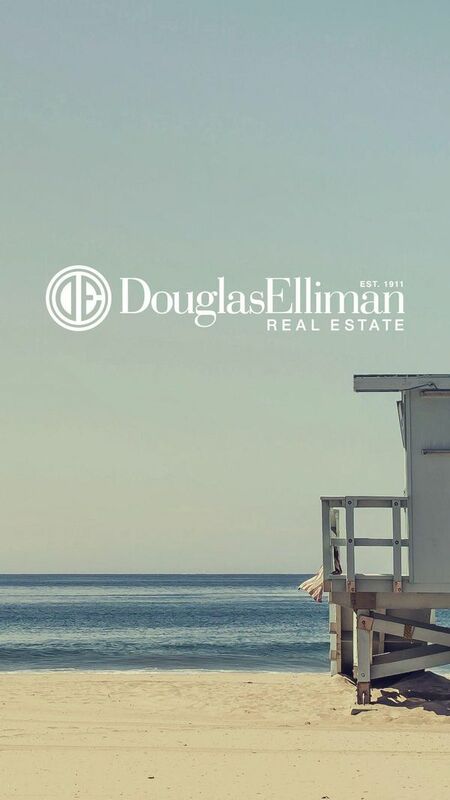 In order to better serve my luxury home sellers and to more effectively accommodate my ever expanding clientele, I have chosen to join Douglas Elliman of Colorado. 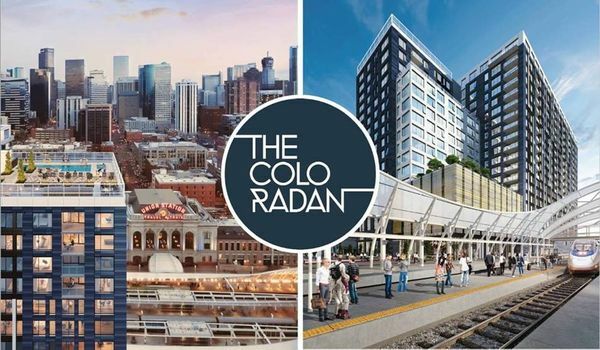 The Bulldog Associates Team at Aspen Real Estate Company is currently representing buyers for the Coloradan project at Union Station in Denver. The Coloradan is the ONLY brand new, residential high rise condo project in the heart of down town, and there will never be a more convenient and central location. The Coloradan is being listed by Slifer, Smith, and Frampton, of Denver and all photos and info are being provided to you on my Blog, with their permission. *There were 133 residential property sales in Aspen during the first half of the year. *The average sale price was $3,900,000. *The average sale price per square foot was $1,323. 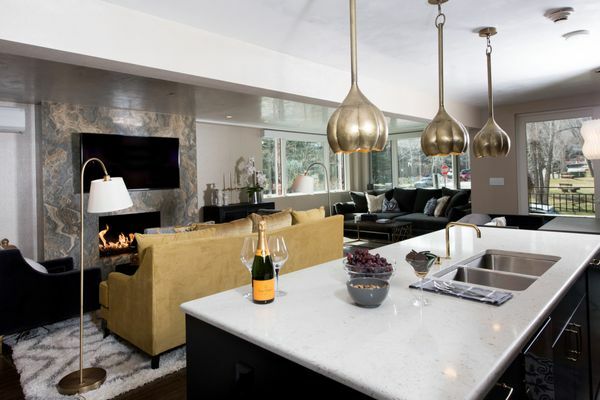 Sale prices ranged from $149,000 to $30,000,000 - the lowest priced sale can be described as a hotel room at Buttermilk mountain while the largest sale was a stunning luxury, contemporary home on Aspen’s prestigious, Willoughby Way. Join us in the VIP tent this Sunday. 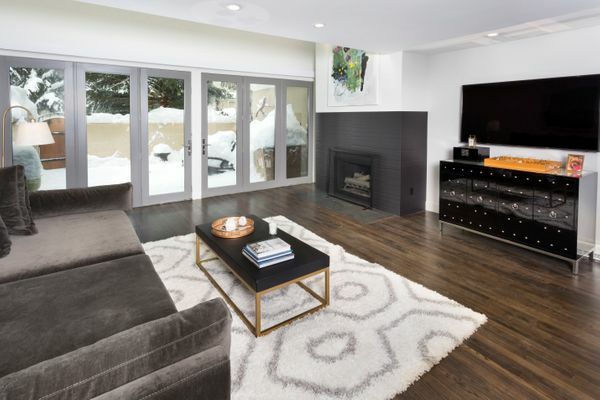 I'm happy that you asked me why this is one of the best properties for sale in downtown Aspen. Adorned with only the highest quality finishes, this luxury condo has protected views of Aspen Mountain across one of Aspen’s favorite parks. Koch Lumber Park, is well known as the anchor site for the annual Motherlode Volleyball Classic. 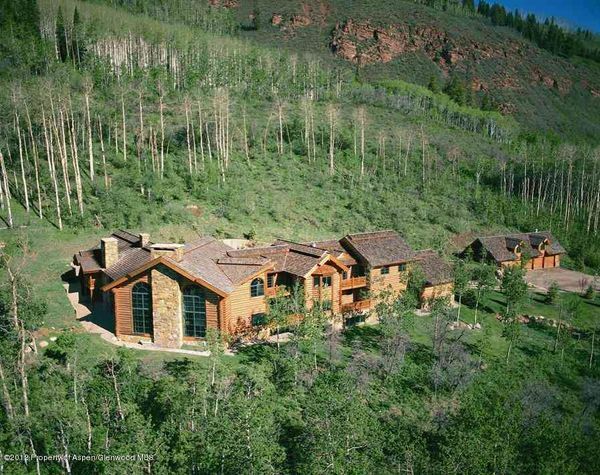 Prices vary from $3.5M - $80M... Each of these properties is bordered by national forest. 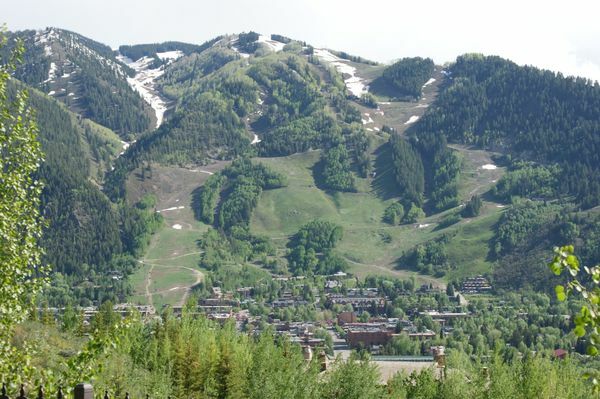 All are located within a 25 minute drive from downtown Aspen. Most have equestrian facilities or plenty of space available to add them on. Call me for more information. Enjoy the tour - click here. Here is the finalized poster for the event... With all of these sponsors, it's clear that this will be an amazing party with food, fun and great people. 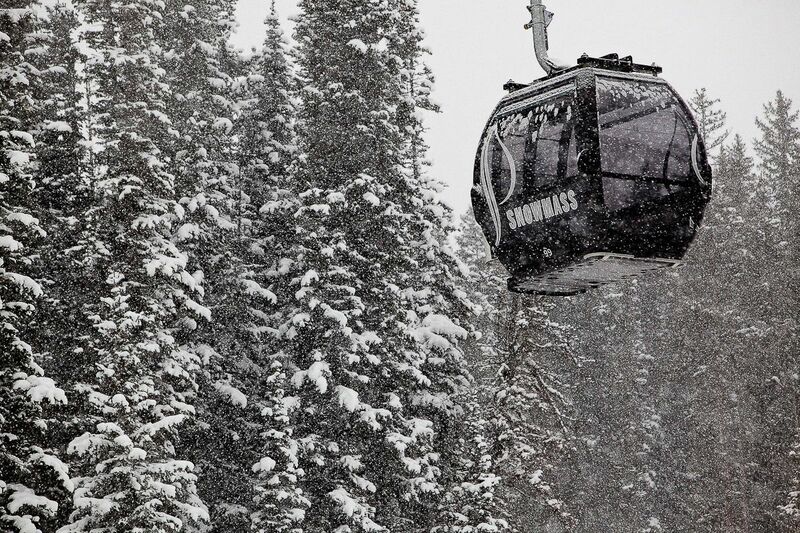 Remember that there is a free shuttle from the gondola plaza in Aspen, so don't drive if you don't have to. Did I mention champagne and margaritas? Even the shuttle is dog friendly. There is something for everyone - children, adults, and dogs. Let's go big on Sunday from 11-3. Be there or be in the dog house! This is an outstanding property that is now priced to sell...Perched upon 17 lush acres, bordering national forest & only 10 minutes from downtown Aspen. Unique water rights make this an oasis with meandering streams to feed the ponds and create a peaceful ambiance. Perfect for a family home or a lodge for your corporate retreat center. 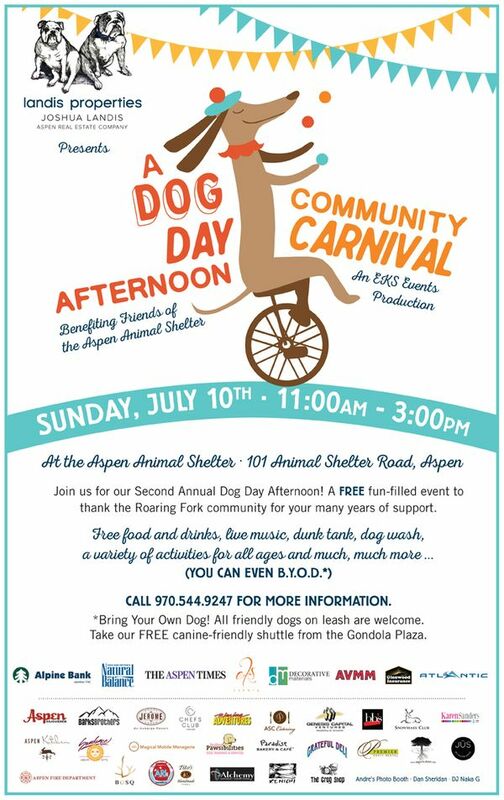 Dog Day Afternoon community event to support the Aspen Animal Shelter. 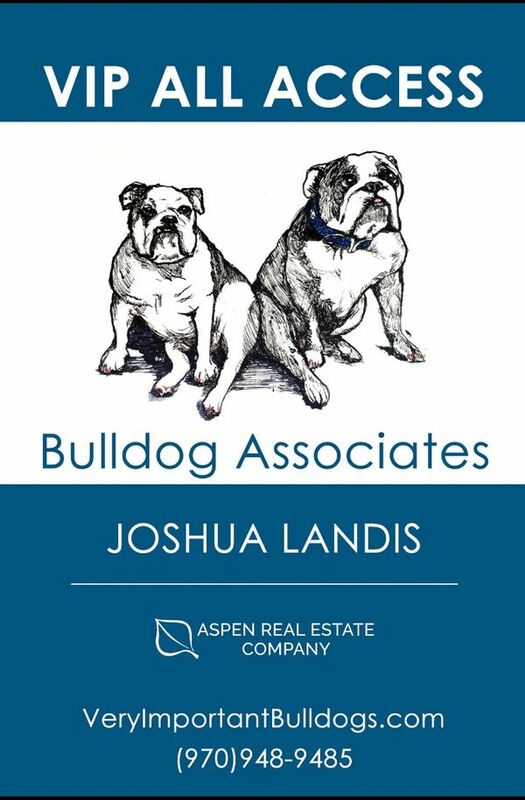 Sponsored by Joshua Landis of Aspen Real Estate Company. 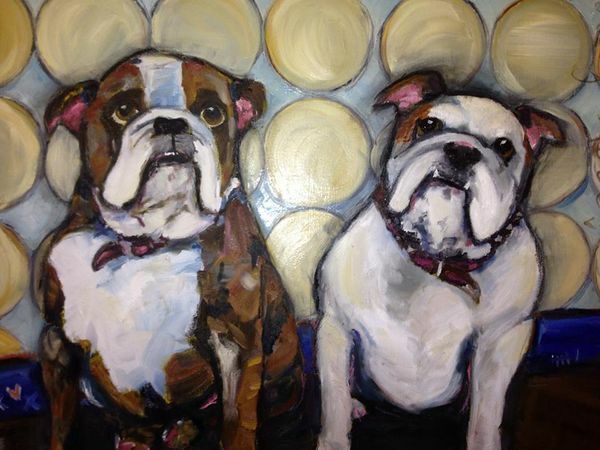 Save the date for the Aspen Animal Shelter benefit sponsored by Landis Properties of Aspen. Aspen Real Estate Company owns local TV and radio stations. When you list your home, we can give you the marketing advantage that other brokers can't match... Tune in to Channel 19—The Outside Channel in Aspen to see this full feature commercial, beginning December 25th! 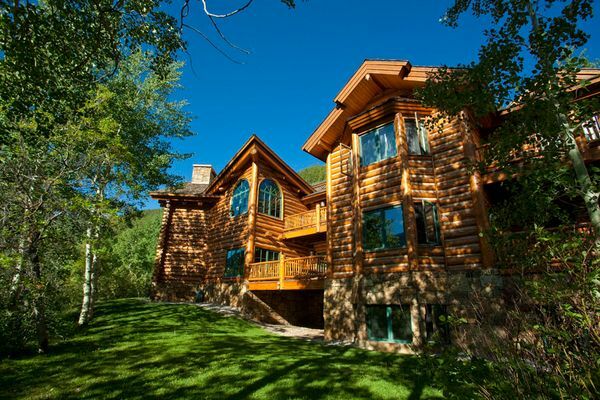 The Buckhorn Building sells in Aspen Colorado: This was a great deal and a unique challenge. Considered the East Entrance to Aspen, this prime corner needs an intervention. 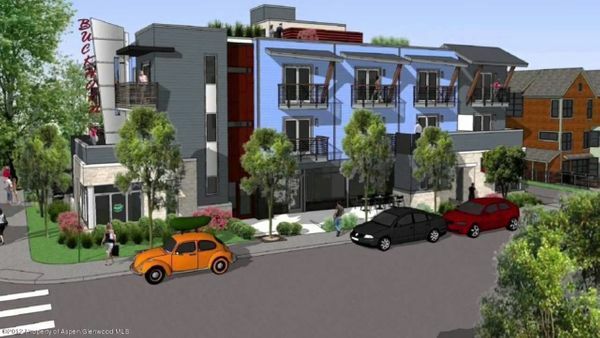 The local businesses will be protected and the buyer will have the opportunity to create something unique and beautiful on this site. With four owners, a land lease, five commercial, and three residential tenants to deal with, this has been an adventure!